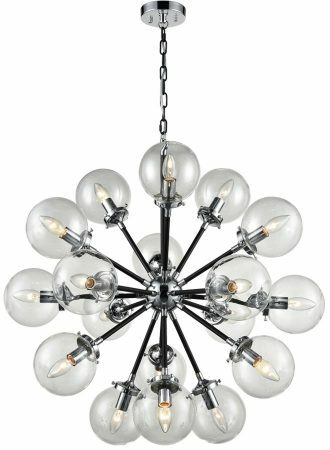 This Franklite Reaction 18 light large pendant in matt black and polished chrome finish with glass globes is modern, impressive and stylish. Featuring a 12cm ceiling mount in chrome and height adjustable matt black chain suspension holding a chrome orb. Eighteen matt black arms radiate in different directions, with polished chrome lamp holders and clear glass globes. 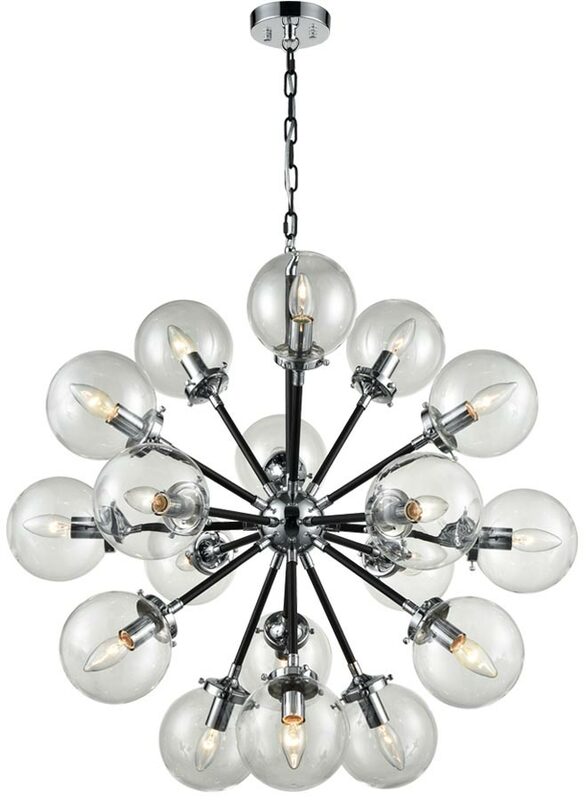 Perfect for any large living room, bedroom or dining room and ideal lighting for rooms with a high ceiling. There are matching fittings in the Reaction matt black and polished chrome finish lighting collection, please see below. Also available in matt black and antique gold, please enter the term Reaction in the search bar to view the complete collection. This impressive light is supplied by Franklite Lighting who have been one of the pioneers in the design, manufacture and distribution of high quality lighting such as the Reaction 18 light large pendant in matt black and polished chrome finish with glass globes you see here.